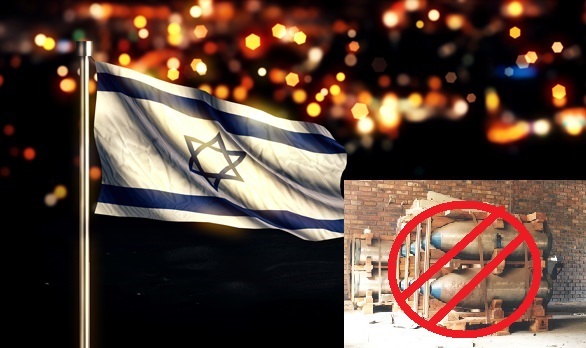 JNN 10 Apr 2015 Tel Aviv : There is a lot of talk about nuclear proliferation in the Middle East and the ways in which an Iranian bomb would provoke Saudi Arabia and others to acquire nuclear warheads of their own. But for decades, the primary impetus to a nuclear arms race in the region has been Israel, which probably had an atom bomb by about 1970. It was helped behind the scenes by France and Britain– which actively proliferated nuclear weapons to Israel. It was Israel’s bomb that, in part, impelled Iraq to go for broke. Iraq’s nuclear weapons program of the 1980s in turn convinced some in Iran that Iran needed at least a nuclear break-out capacity if two of its enemies were going to have bombs. Since Israel destroyed an Iraqi light water reactor, OSIRAK, in 1981 (which had been built by the French and could not easily have been used to produce fissile material), when Iran began its experiments in uranium enrichment, it kept them secret lest Tel Aviv send out F-14s. Ideally, the whole Middle East should be an atomic bomb- free region. The area has enough horrible problems without a weapon of mass destruction. But the UN Security Council has treated Israel very differently from the way they treated Iran. For centuries, Europeans And American have been held to different standards and different rules than have peoples of the Global South. Israel as a “European” country was allowed to get a nuclear bomb, indeed was helped to do so, and no sanctions were ever applied to it. Iran was targeted for economic warfare just for having an enrichment program. Now that Iran is being constrained by a strict inspections regime and limitations on centrifuges from ever weaponizing its civilian enrichment program, what if the United Nations Security Council turned its attention to decommissioning Israel’s stock of several hundred warheads? If Britain, France, Russia, China and the USA decided Israel would have to give up its nukes, as a means of ensuring non-proliferation in the Middle East, how would they proceed? On analogy from the sanctions imposed on Iran, we could see the UNSC pass a resolution demanding that Israel sign the Nuclear Non-Proliferation Treaty (as Iran has). Then they demand that Israel allow inspectors in to Dimona. Then they demand that Israel destroy its stockpile of atomic bombs. When Prime Minister Binyamin Netanyahu loudly and cheekily defies the world body, the UNSC moves to the next stage. The European Union, with which Israel does a third of its trade, begins boycotting Israeli-made goods and Israeli companies. China joins suit, drastically reducing its imports from Israel and curtailing contracts to Israeli firms. As Netanyahu’s defiance grows louder and more strident, and he begins threatening the five permanent members of the Security Council, the UNSC takes a dim view of his bluster. Israel is kicked off the SWIFT bank exchange and excluded from the alternative Chinese one. Israeli foreign trade plummets as sellers find it impossible to receive shekels ( Israeli Currency ) for the goods they send to Israel. It is difficult to buy Israeli products because there is no easy way to pay Israeli businesses for them. Buyers turn to other producers of similar products in other countries. Israeli exports are cut in half. The country is forced to trade with some poor Asian and African countries that do no care about the UNSC, but must barter for their inferior made goods. The shekel falls from roughly $.25 to only an American dime. The Israeli middle class can suddenly no longer afford to vacation in Europe or the United States. Egyptian and Turkish beaches are off limits because those countries joined the boycott, hoping for a denuclearized Middle East. Haaretz runs an editorial pointing out that Israel has an American nuclear security umbrella and asking why the country needs its own stockpile. The shekel falls to five cents against the dollar. Israelis find it difficult to afford some important medicines because of their high cost, and some patients die as a result. Many Israelis begin moving to France, Germany and Sweden, tired of trying to scrape a living together in an increasingly dilapidated Tel Aviv, beset with potholes and crumbling buildings. In new elections, Isaac Herzog becomes prime minister and announces a willingness to negotiate with President Michelle Obama’s Secretary of State. The Security Council insists that Israel sign the NPT and accept wide-ranging and surprise IAEA inspections. The destruction of its stockpile of atomic bombs begins. Other Middle East states, having seen what happened to Iran and Israel, affirm that they have no interest in nuclear weaponry. Most now in any case get their power not from reactors but from solar farms, which generate electricity at 2 cents a kilowatt hour. Cheap power and fewer military expenses have made them prosperous. They implore Israel to join their ranks and also to accept the 2002 Arab League peace plan. This entry was posted in Europe, Middle East and tagged Atom Bombs, Iran's Sanctions, Israeli Nuclear Bombs, Middle East, United Nations, UNSC. Bookmark the permalink.